Katheryn M. Csonka, Assistant Professor of Nursing at Daytona State College has been recognized as a “Leader in Nursing” among “America’s Best Nurses” for 2017. She will be sharing her knowledge and expertise on Nursing, Nursing Education and Patient Safety. With over two decades of experience in the field of Nursing, Katheryn offers valuable insight in her role as an Assistant Professor of Nursing at Daytona State College. Established in 1957, Daytona State College serves as a comprehensive public college offering various programs from certificate, associate, and baccalaureate degrees in include health care, emergency services, business, education, hospitality, engineering, technology and more. As an Assistant Professor of Nursing at Daytona State College, Katheryn’s day-to-day responsibilities include teaching full-time at Daytona State College. 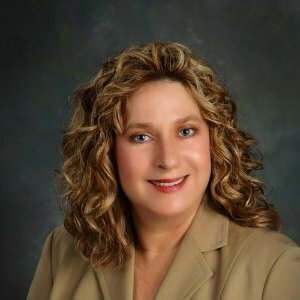 In addition to her role at Daytona State College, Katheryn serves as an Adjunct Professor School of Nursing at Kaplan University and a Visiting Professor School of Nursing at Chamberlain College of Nursing. In 2013, Katheryn earned her Master of Science in Nursing from Walden University. Prior to graduating with her Master of Science in Nursing, Katheryn earned her Certification as a Registered Nurse from Cuyahoga Community College in 1995. Currently, she is working towards her Doctorate of Philosophy from the Capella University. Katheryn maintains affiliation with Sigma Theta Tau, Academy of Medical Surgical Nurses; American Association of Colleges of Nursing, Historical Nurses Association and American Nurses Association. Katheryn’s desire to pursue the field of Nursing developed through the influence and the example of her mother’s nursing career. Looking back, she attributes her success to her drive to always improve. In her free time, Katheryn enjoys baking, cooking, and traveling. She is proud to have rescued two Daschsuhunds. Considering the future, she hopes to continue teaching, mentoring, and moving into a leadership position involving course development. Daytona State College, a comprehensive public college, provides access to a range of flexible programs from community enrichment to the baccalaureate degree, emphasizing student success, embracing excellence and diversity, as well as fostering innovation to enhance teaching and learning. Daytona State College looks to increase student development and academic support to enhance student performance, engagement, and retention. Daytona State prides itself on its ability to provide students with affordable tuition, convenient and flexible course scheduling, and an expanded array of online programs.